Last evening I attended the Capital Strategies Woman's Forum. I was invited to attend by one of the women in my lunch group and it was so exciting to be there. We had about 100 women (only) in attendance and three local women of distinction spoke. 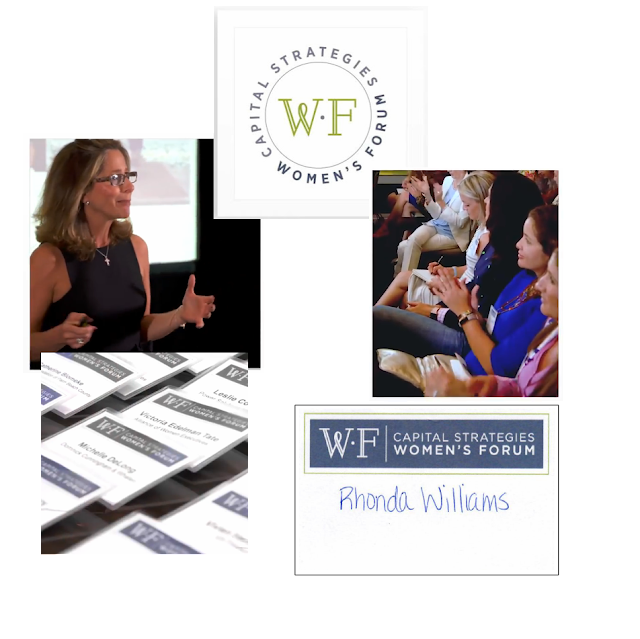 These are accomplished, professional woman that shared their strategies, stories and successes. I am amazed as to how woman cooperate. They truly are willing to share how they got ahead and willingly encourage others to do the same. What a concept and a pleasant evening.